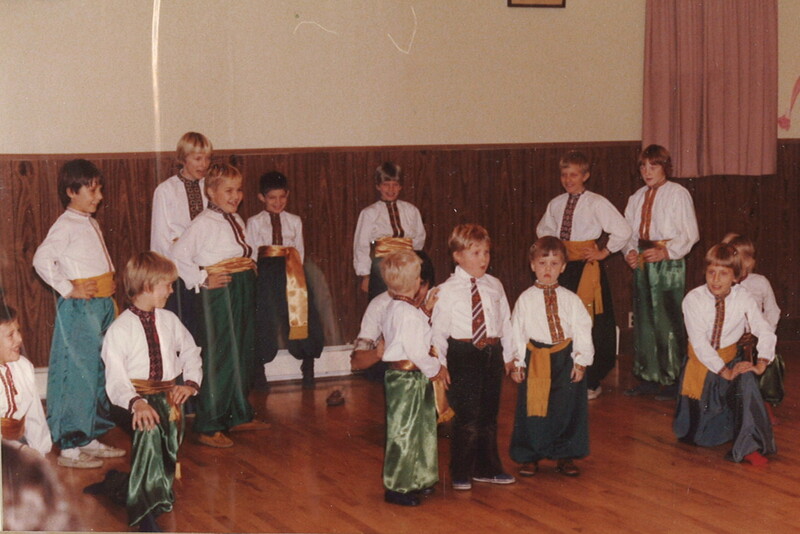 Orthodox Ukrainians organized the first Ukrainian Orthodox parish in St. Catharines in 1945. Initially there were 24 parishioners and the official name of the church was the Ukrainian Orthodox Church of Sts. Peter and Paul. 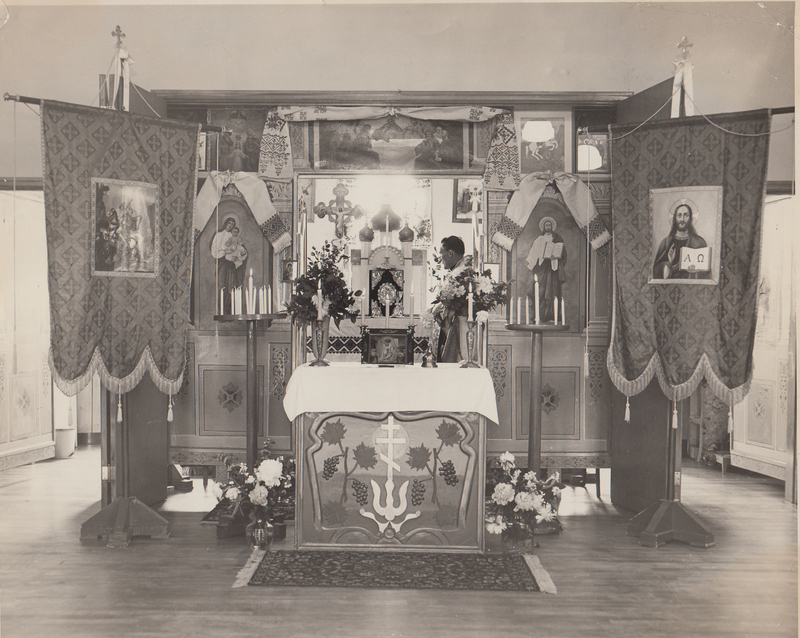 At the end of November 1947, another group of Orthodox Ukrainians organized a church named the Ukrainian Orthodox Church of St. George. Services were held in an English church parish hall. The first parish council was elected before Christmas and property was purchased on Facer Street upon which the church would be built. 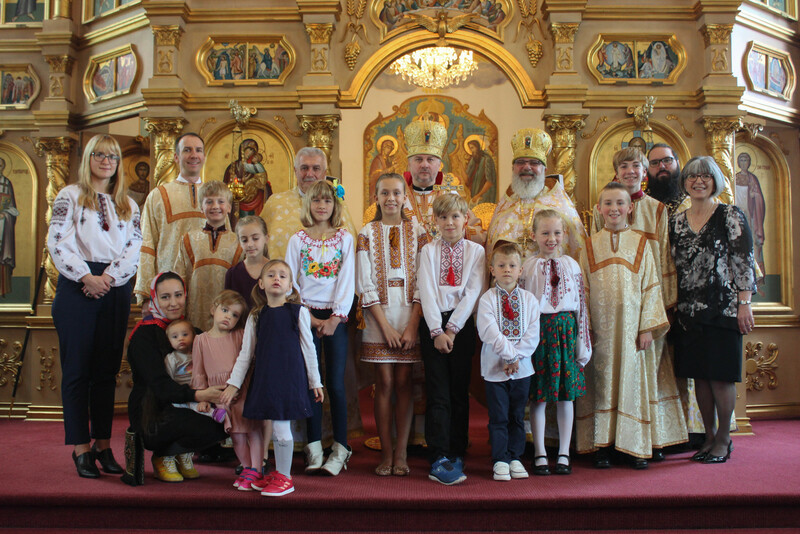 On May 16, 1948 the two churches amalgamated under the Ukrainian Orthodox Church of St. George creating a new community with a total of 26 families. Services were held initially at the homes of parishioners. 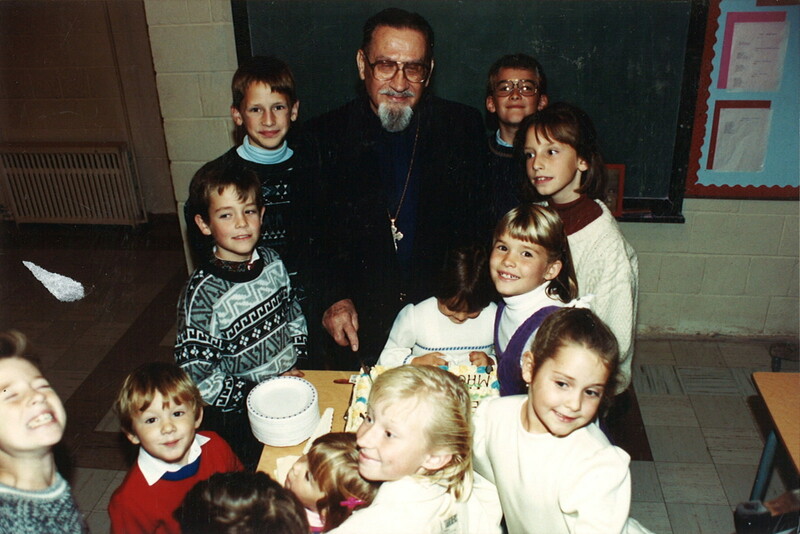 Father Wasyl Fedak, later His Beatitude, Metropolitan Wasyly of thrice blessed memory, and who was the first priest of this united parish. 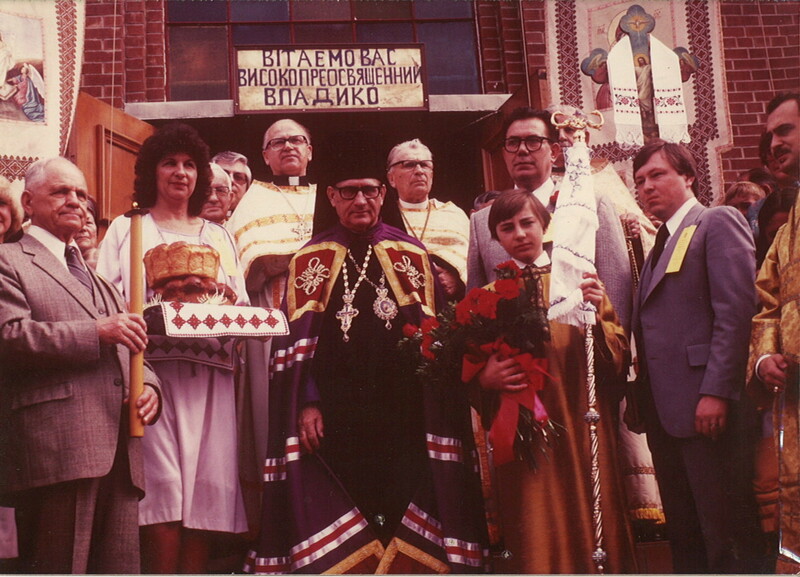 Shortly after its unification and establishment as a new community, a branch of the Ukrainian Orthodox Woman’s Auxiliary (UWAC) was started along with a branch of the Ukrainian Orthodox Youth Association (CYMK). 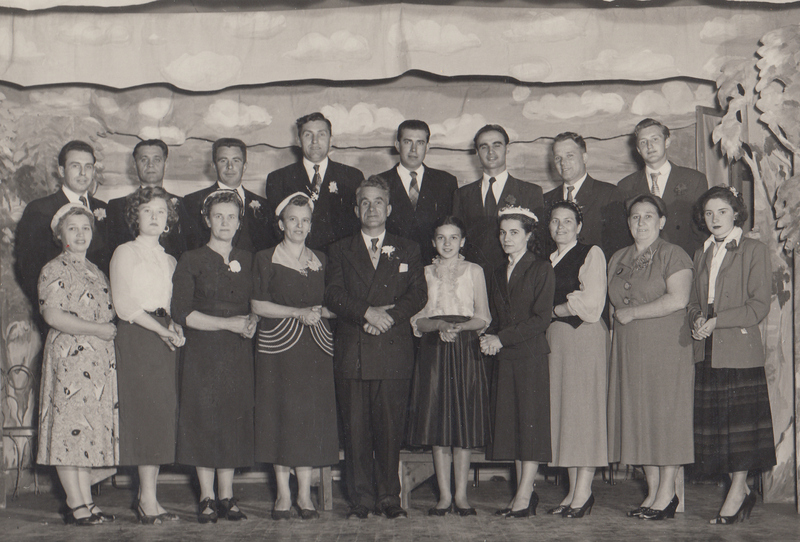 Following World War II, there was a great influx immigration of Ukrainians to Canada, settling primarily in Quebec and Ontario. 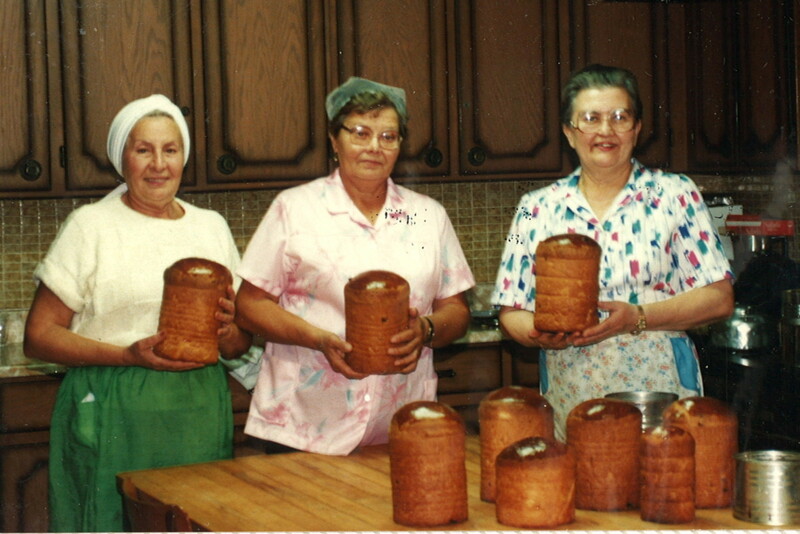 Many Ukrainians came to the Niagara region seeking to farm and to take up work at General Motors. 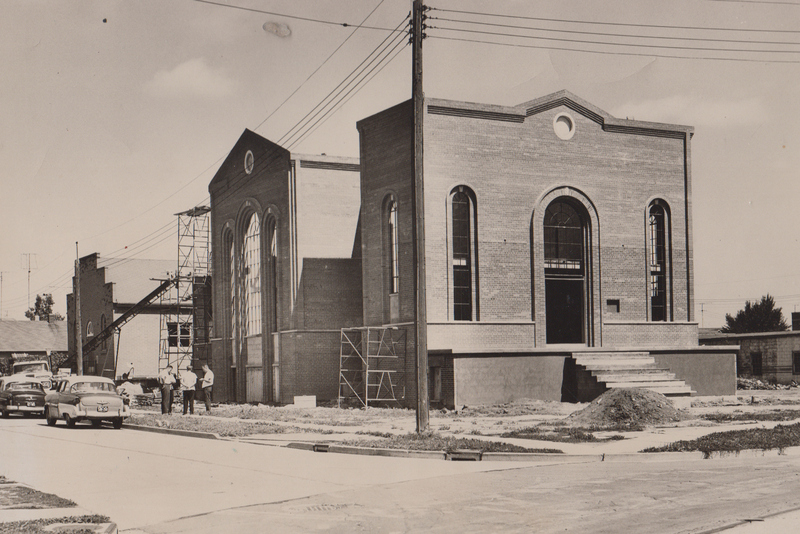 In 1949, funds were set aside to build the Parish Hall, which also had a chapel, serving both the spiritual and social needs of the community. The youth association was instrumental in raising the necessary funds for the building of the parish hall. During these early years the youth not only took an active role in church choir but held concerts and events with strengthened the community as a whole. 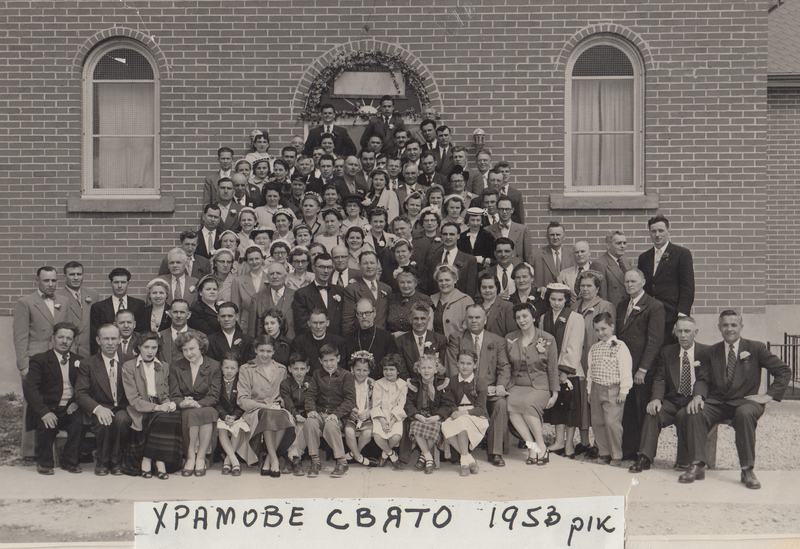 1952 was a particularly momentous year in the life of St. George’s, the parish hall was fully paid off; a school was begin to instruct the youth in the Ukrainian language, culture and the law of God. In 1957, the parish was able to secure funds to provide their priest and his family with a rectory at 72 Facer Street. 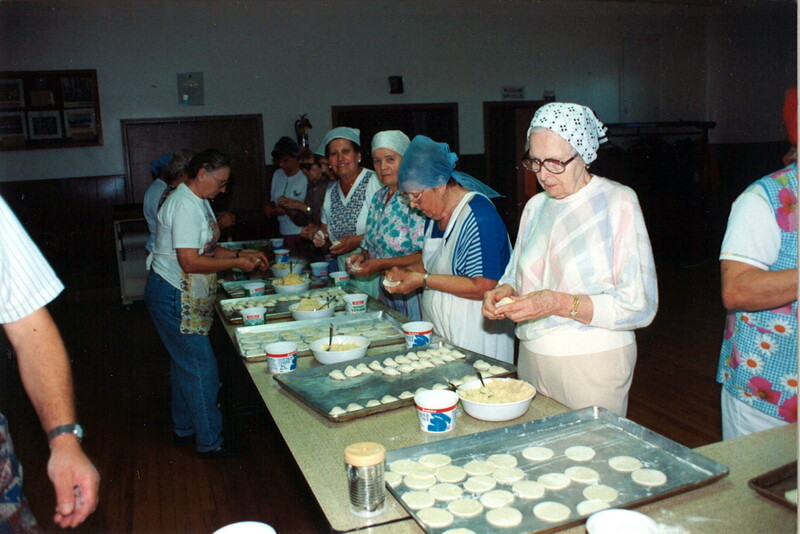 As the community grew, preparatory work began to build a permanent temple for the spiritual needs of the faithful; much fundraising was done through various avenues. After the capital funds were assembled, the construction of the church began in the fall of 1960. The church was designed by renowned Ukrainian Orthodox Architect Hryhoriy Khoroshy, in the classic Cossack Baroque style. 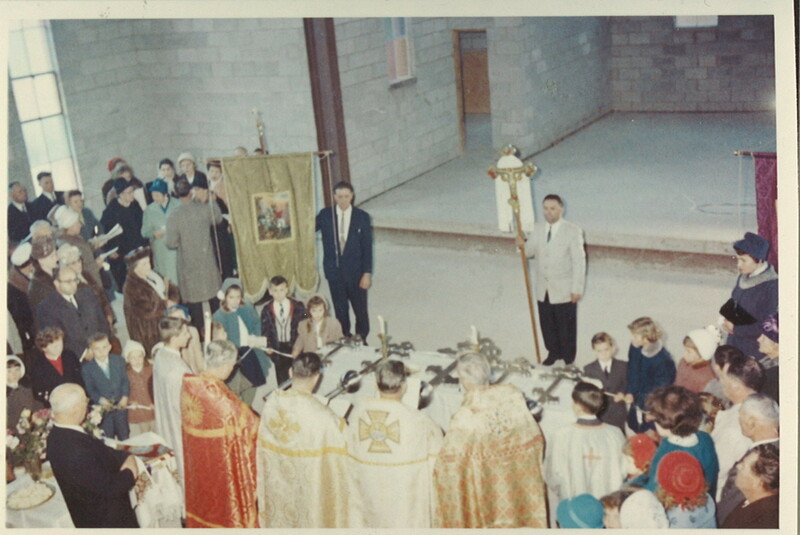 In 1962, the crosses which grace the top of the domes were blessed and installed in a festive ceremony attended by many local Orthodox faithful and clergy. While the church was still under construction, already many weddings, baptisms and other services were being held in the temple as it was being completed. 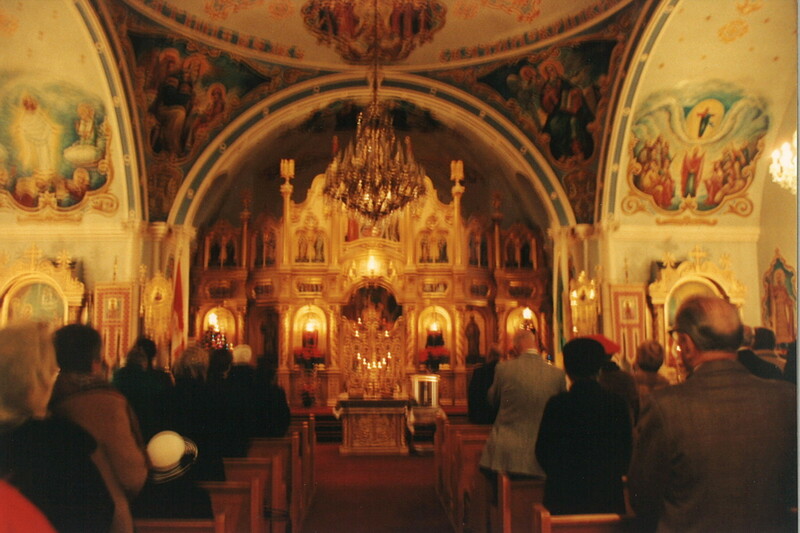 The interior of the temple was completed in 1963 with its consecration by Metropolitan Ilarion and Archbishop Mikhail. The rectory at 72 Facer was sold and a new house was purchased at 8 Augusta Avenue which serves as the rectory to this day. The beautiful Iconostas was installed in the church in 1967. Throughout the 1970s and 1980s, with much help from an economic boom in the area, the community grew and grew and many projects were undertaken to beatify the temple both inside and out. 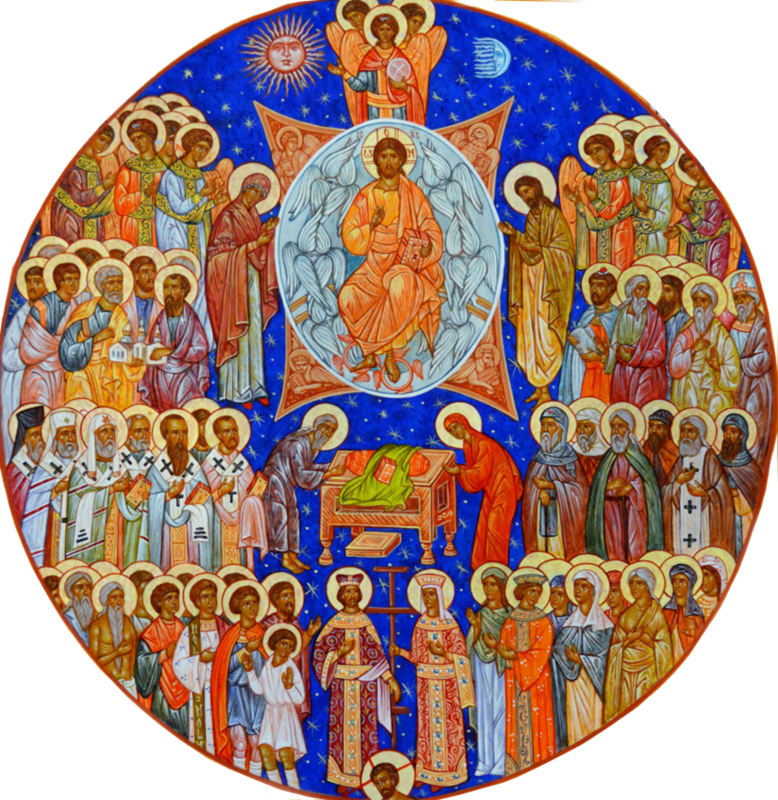 A large icon of the patron saint was written and installed above the main entrance of the temple and a iconography project begun with the installation of 15 frescos into the nave of the temple. In 1988, on the occasion of the 1,000th anniversary of the Baptism of Rus-Ukraine, the electronic church bells were installed. 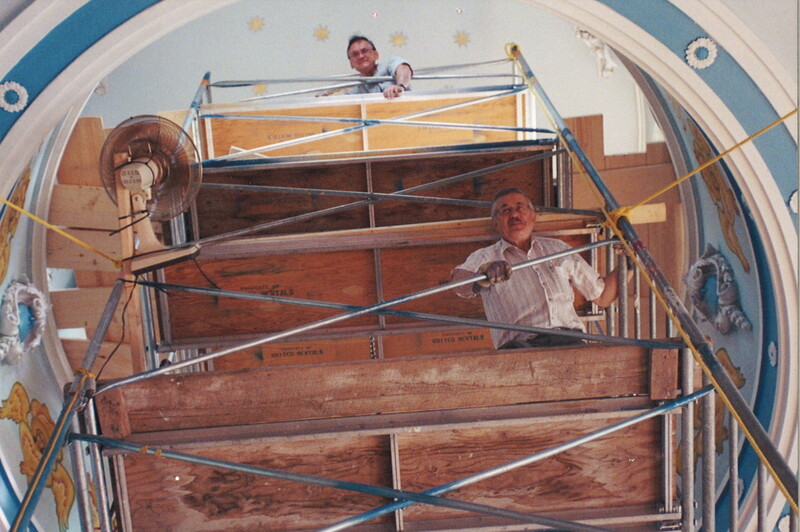 In 1989 the church installed air conditioning and in 1992 the parish iconography project drew to completion with the instillation of an additional 23 icons. 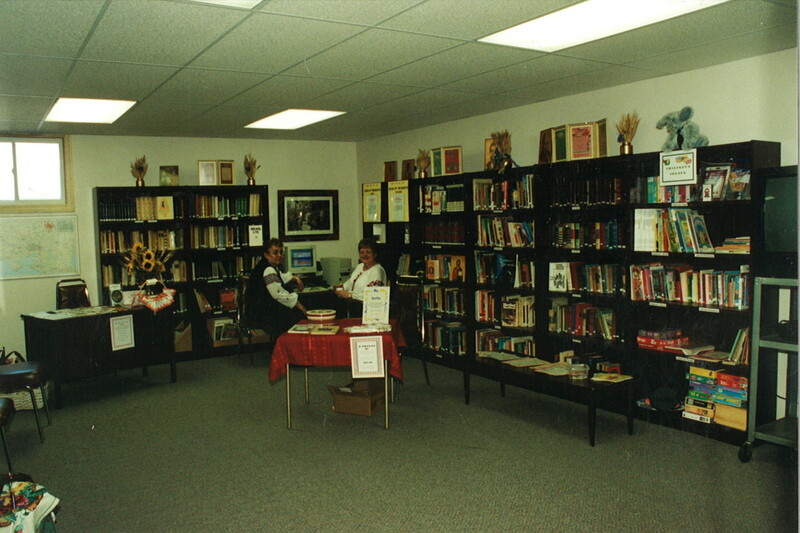 The parish library was opened in 1997 in the parish hall and, as the library grew, books were acquired and donated, Ukrainian artifacts were contributed creating the need for a larger space. This led to the remodeling of the basement hall in 2002 to include a larger space for the library and a space for fellowship. 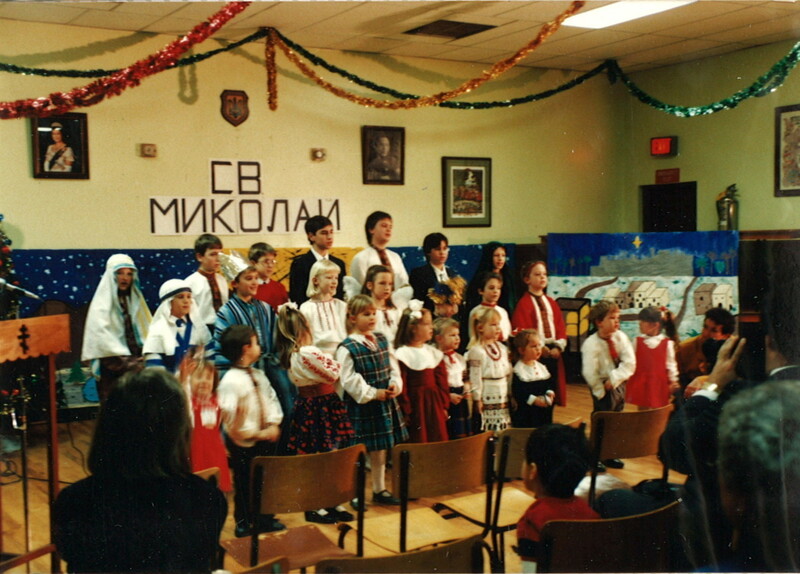 The library is open to all interested in learning about the Orthodox faith and Ukrainian culture with books and audio visual materials for all age groups. Over the years, the parish has celebrated many milestones due to the strength of the community at St. Georges. When a community is united though a genuine worship of the Trinity, they are able to work together, laughing, crying, and struggling together as one family in Christ. Today, the parish, building upon the example of the founders, takes their stewardship seriously, ministering to our own faithful and to the greater St. Catharines community through various charitable acts. Finally, we thank the Lord for His continued blessings upon our parish community and may God bless and keep all our parishioners under His care, and give eternal memory to all our founders, benefactors and parishioners.